The BitVice does not do multiplexing. You need a different kind of software for that task. 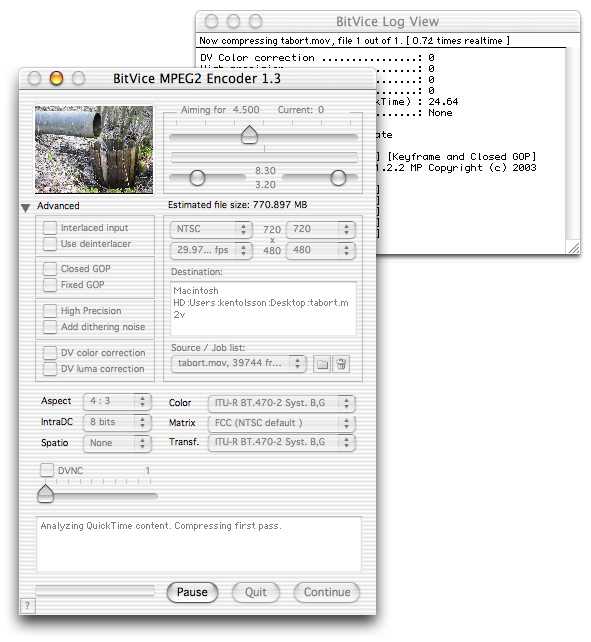 A free multiplexor for Mac OS X is also available to download. The video streams produced by BitVice are MPEG2 compliant, and as such, they can be mounted in any compliant MPEG2 authoring or multiplexing tool. 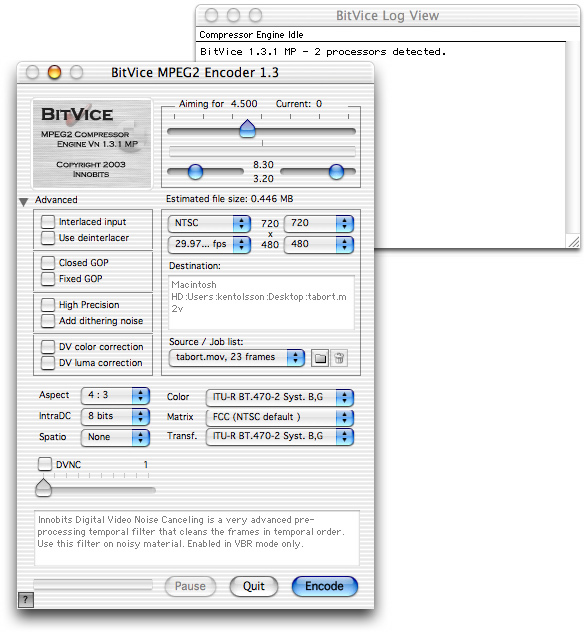 The BitVice is stand-alone software, not a QuickTime™ codec, but it makes use of QuickTime features when it comes to reading the movie you want to compress. 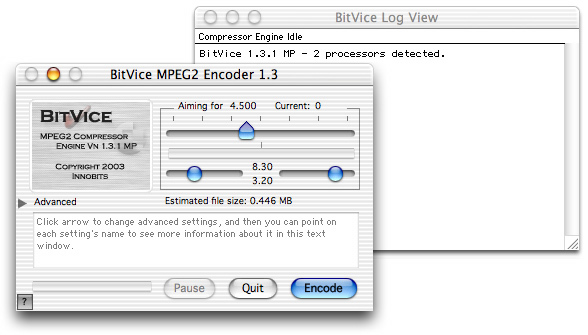 In short, BitVice will compress any QuickTime™ movie, which output meets the MPEG2 input requirements. Written by a few top of the world MPEG engineers, BitVice is the best real-world solution for you to produce high-end MPEG2 videos, suitable for DVD products, commercial spots or wherever you need an MPEG2 video encoding of the highest quality per bitrate available today. The designed sweet-spot is somewhere between 3.5 and 7.5 Megabits depending on the source material.